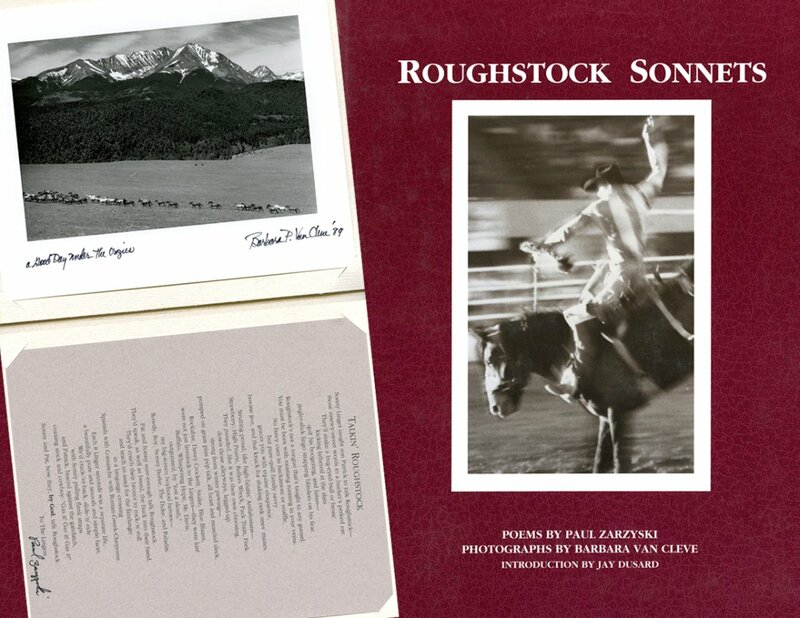 POEMS BY PAUL ZARZYSKI AND PHOTOGRAPHS BY BARBARA VAN CLEVE; Roughstock Sonnets, is a 9x7.5 inch limited edition book that includes a signed 4.5x6.5 inch silver gelatin print of "A Good Day under the Crazies" and a signed, one-of-a-kind poem from Paul Zarzyski. Roughstock Sonnets is a collection of photographs and poems, takes place in the western landscape intrinsic to most hearts. *Price includes shipping fee.